A page most often is added to a specific folder in order to display the contents of the folder. When a page is added to a folder, it becomes a view-able by clicking its link at the top of the screen, below the Portal address bar. 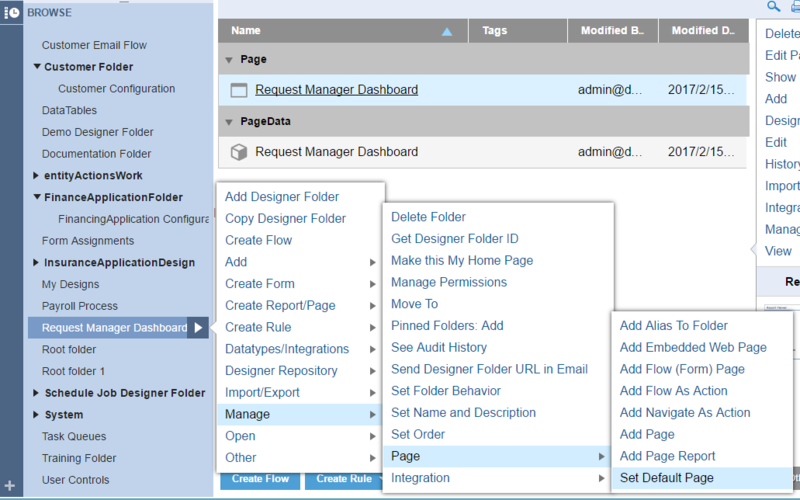 This example adds a "Request Manager Dashboard" page to a "Request Manager Dashboard" folder. Once the page is added, it automatically becomes the default view for the folder. (In other words, it automatically shows the page when the folder is selected.) The folder view can be seen by clicking theFolder View	link at the top of the screen. The page is created in a Designer Folder and then moved to the folder. This example assumes the report "All Unassigned Requests" already exists. From a Designer Folder , right click select Manage>Page	and then Add Page. Name the page "Folder View Page" and click OK	. This page will contain a report, a logo, and instructional text. 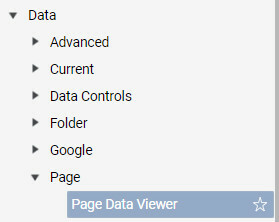 Expand Data> Page> Page Data Viewer	, and locate the respective report. 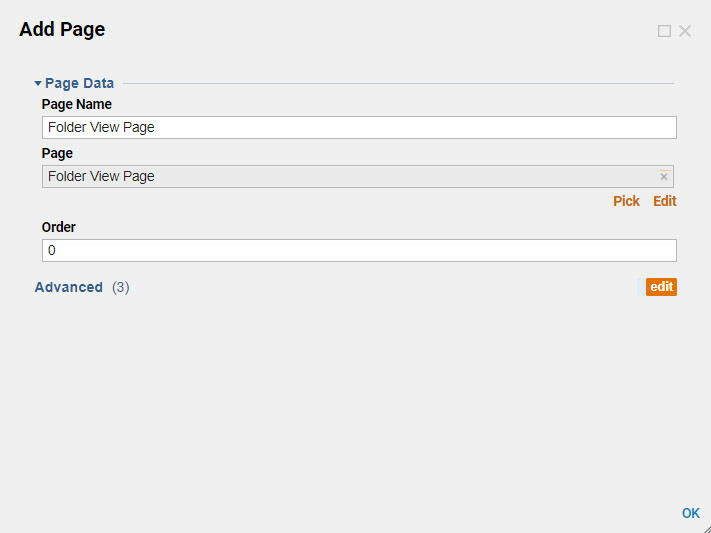 Drag the Page Data Viewer	component for the report into the Page Designer. Use the arrow buttons on the report viewer to expand the report so it takes up the bottom part of the page. Also, in the report viewer Properties	panel, under Behavior	, select the default folder that will serve as a source for the report. For more information about creating a page see attached link: https://decisions.document360.io/docs/creating-your-first-page . Next, navigate back to the Steps Tab and locate under Favorite> Image, drag and drop the Image	component in the upper left, above the report. 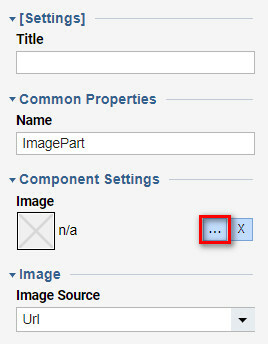 From the Properties	panel, under Component Settings	, click the browse icon. 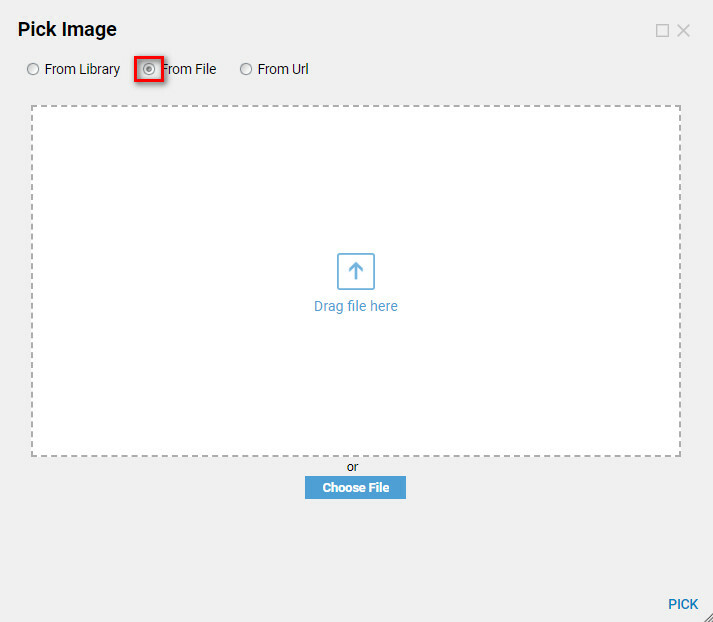 Browse to and select the desired image and click OK	. Use the arrow buttons to expand the size of the image accordingly. Choose From any of the three media selection. Add a Label	component from the Steps tab underFavorites. Give the page a title of "Folder View Page" and instructions. Save and close the page. 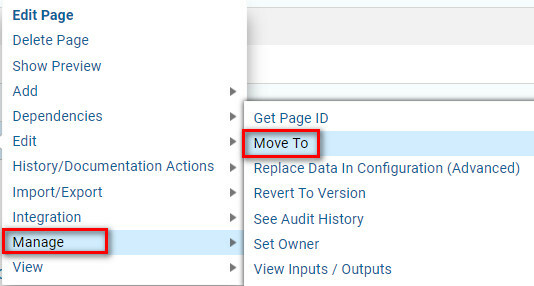 From the Designer Folder , click on the page's Actions	menu and select Manage > Move To	. Select the folder that will show the page and click OK	. Now, the entity is added to the selected folder. The page is available to view by clicking its link at the top of the screen, and it can also be set as the default for the folder. Under the designated folder, add the recently moved page. And then set the added page as default page. 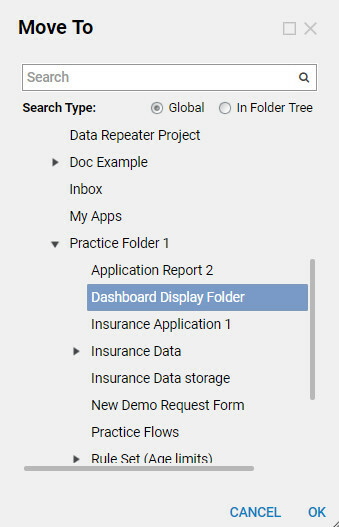 When set as the folder's default page, the page automatically shows when the folder is selected from the Folders	tree.